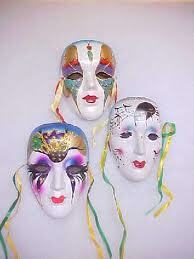 I had a dream that my little sister was selling masks like these on Ebay. And they were going for $74.55 each. ?! Creepy, much?